Hello and Happy Friday! 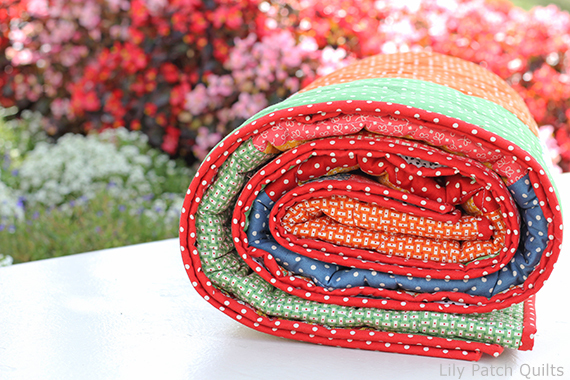 Today I am sharing the Fat Quarter Shop's Cobblestone quilt. This quilt has been my secret project for a while. I only shared little peaks of it here and on Instagram. 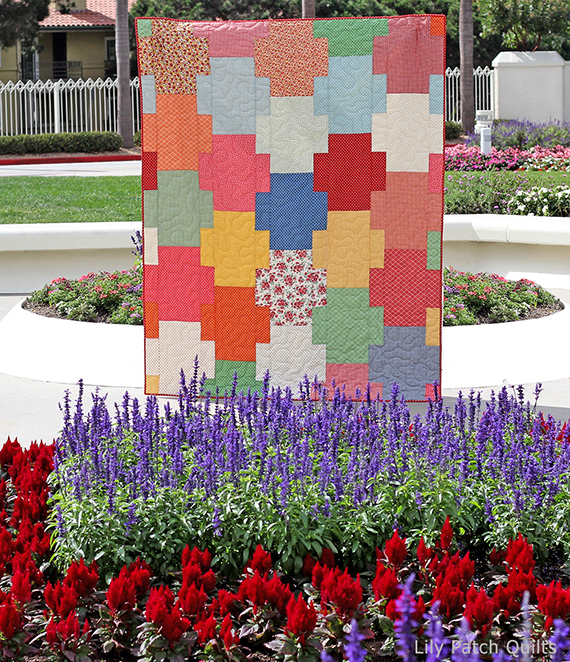 This is a part of Fat Quarter Shop's Shortcut quilt series. I love that the pattern is so fast to cut and put together. 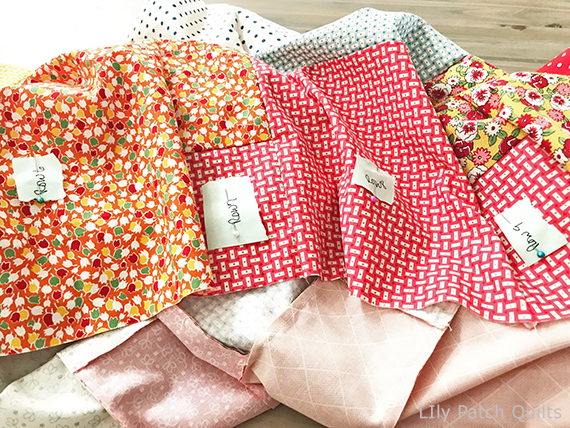 I chose to work with a fat quarter bundle of Bread 'n Butter by American Jane for Moda Fabrics. This quilt pattern has many sizes to choose from. Mine is about a twin size and only took me about an hour to cut and sewing was a breeze. I love both of the full length photos I took of the quilt and couldn't decide which photo to include in this post so I used both. I used a lot of the polka dot prints from the Bread 'n Butter collection after all who could resist polka dots. I couldn't decide on the quilting so I did a really simple allover meander which I was able to finish in about an hour. Here's a tip for you on piecing the rows together. When I laid out the rows to the quilt top, I pin post it notes to each row so that I would not get the rows mixed up when it came time to sew each row together. Time to check out all the other participants on this hop for more inspiration. You can get the free pattern here and check out FQS's YouTube video to walk you through the process. Wow! That is really a pretty quilt. What did we ever do before post-it notes? Thanks for the link to the pattern. 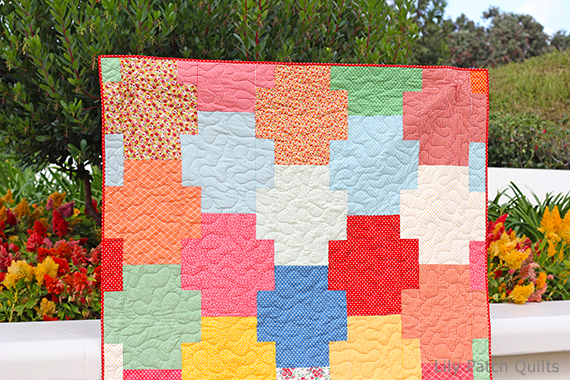 Gorgeous quilt and photo shoot! That is such a beautiful quilt and you make it sound so easy. I love easy! The quilting looks perfect for it. Very cute quilt, love your choice of colors. 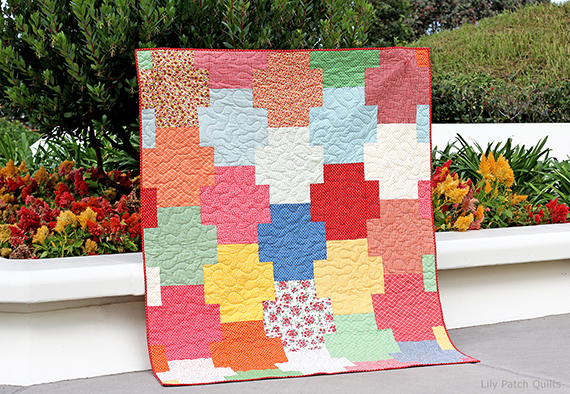 Very pretty quilt, love your color choices.